Around nine in ten offshore North Sea workers are against the return of the aircraft. Super Puma helicopters could be set to return to the skies. They were grounded in the wake of a helicopter crash in Norway last year; the third fatal accident involving a Super Puma in the North Sea since 2009. 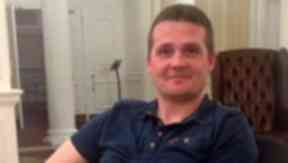 Among 13 killed was Iain Stuart, an oil worker from Laurencekirk in Aberdeenshire. The European Aviation Safety Agency lifted its ban in October but authorities in the UK and Norway kept them grounded. They have now outlined plans to allow the helicopters to eventually return to service, despite nine in ten offshore workers being against such a move. Iain Stuart: Killed when helicopter crashed off Norway. John McColl, head of airworthiness at the Civil Aviation Authority (CAA), said the decision had not been taken lightly. “It has only been made after receiving extensive information from the Norwegian accident investigators and being satisfied with the subsequent changes introduced by Airbus Helicopters through detailed assessment and analysis,” he said. “The safety of those who travel on offshore helicopter flights is a key priority for both the UK and Norwegian aviation authorities. Super Pumas will not return to duty immediately and it will be up to individual companies to decide whether they still want to use the aircraft, the CAA said. If they do, more frequent inspections will have to be carried out and components must replaced sooner. Airbus will also have to partly redesign the helicopter. CHC has already stopped using Super Pumas, citing a “lack of commercial demand”. The cause of the crash off the island of Turøy in April 2016 is still unclear but experts believe it was not the result of pilot error and have blamed a technical fault. 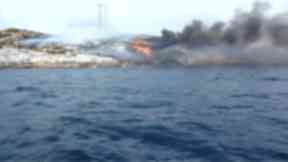 A witness less than a mile away from where the helicopter went down described seeing an “explosion in the sky” before the Super Puma “fell to the ground and burst into flames”. He was able to film its rotor as it span away from the aircraft intact. Earlier this year a survey of 2500 offshore workers found 90% were against their return and 65% said they would refuse to fly in one again if they did. A series of changes intended to make North Sea travel safer have been introduced in recent years, including seating oil workers by size and installing new breathing apparatus in helicopters.